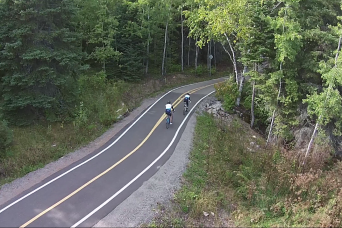 Self guided cycling in Quebec is like no place else in Canada or North America. Quebec has preserved an old culture of France from centuries past and offers a wonderful escape in a place that is so close. More impressive with bike tours throughout Canada is the beauty of the landscape and largely unspoiled nature on display. Get back to nature on a cycling tour in Canada.